Spending money may seem too easy a lot of the time, but not when you have to agree with total strangers on what to spend that money on. 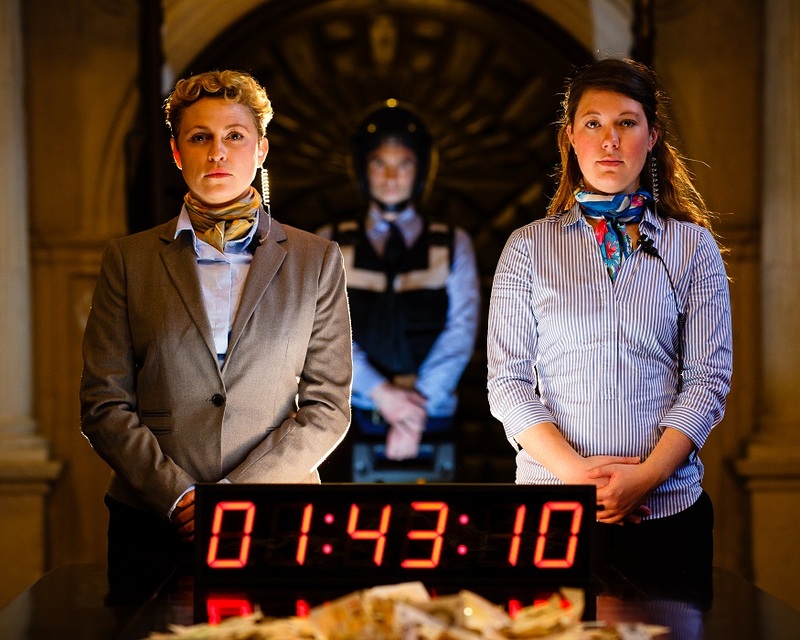 This is the premise of an intriguing immersive show that comes to the Guildhall on Monday afternoon. Members of the audience are able to ‘buy a voice’ for £10 and become so-called Benefactors. They then help decide where a shared pot of cash should end up. Meanwhile, others can get tickets to be Silent Witnesses to then watch the 90 minute debate unfold. As the clock ticks, the Benefactors must reach a unanimous decision and sign a contract or the money will be rolled over to another group of players. To make things more complicated the Silent Witnesses can also ‘buy in’ thus shaking things up and altering the balance of the discussion. During one show the group bought a woman in the room who was struggling with housing issues, a cooker and a set of pots and pans. During another however, they ended up burning the money. Williams adds that they had to call a lawyer to check this was legal — turns out it is (it’s defacing the Queen that’s not). The Money has toured the country since 2013 with about 35 shows taking place so far. Next year, its inventors Kaleider take it to Australia and China so this may be one of your last chances to catch it in London for a while. Head down to the Guildhall at 2pm on Monday 2 November to test how you feel about The Money. Tickets are £10 for Benefactors, £13 for Silent Witnesses (£11 concessions).